Beginning Guitar Classes, 2011 - present. Sahffi teaches guitar classes for children in after-school program settings. 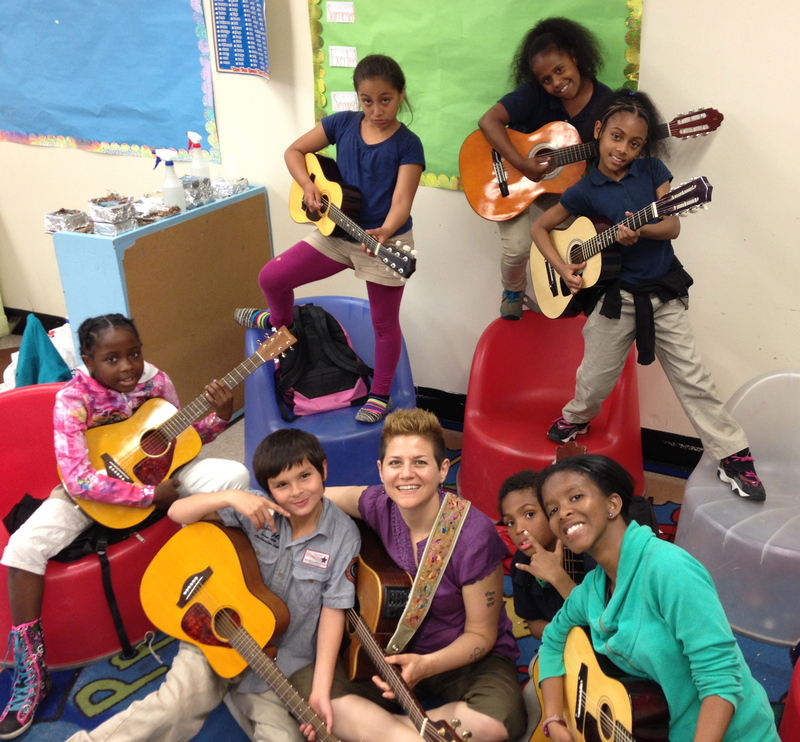 Here she is with her after-school guitar class sponsored by BTEC at Bay Brook Elementary in 2014.